On-Line Registration for the 53rd Annual All-4-Fun Event Powered by Bestop is now open!!! On-Line Registration for the 2019 All-4-Fun event will open at 12:00 am on Tuesday, January 1, 2019. The 2019 All-4-Fun event will be held at the Buena Vista Rodeo Grounds in Buena Vista, CO July 27th through August 3rd, 2019. Every year a few us go out to enjoy this event. Contact Brad with any questions. Message from the Event Chairman below. You can also go to this page to find more info about the 2019 All-4-Fun event. You should also LIKE and follow the All-4-Fun Facebook Page for up to date information about the 2019 All-4-Fun event. We hope that you will join us in Buena Vista, CO this summer! Please let me know if you have any questions. Looked out and saw a few flakes of snow. Thought I better get out our December event sent out. The Winona Area Jeep Friends are planning to participate in the Goodview lighted parade this year. It will be Saturday December 8th from 5 to 6 pm in Goodview. We are meeting at Sugar Loaf Ford around 3:30 pm so we can decorate our jeeps with as many LED lights as your Jeep can hold. Bring everything you need to decorate your Jeep. The shop area will be open and warm. There will be hot chocolate and treats. Bring a treat to pass if you wish. Returning to Sugarloaf after the parade to de-decorate were it is warm and dry. Bring the whole family and enjoy the night. Also, please bring a donation for the 10 days of Giving. Mrs. Santa Clause will be collecting bags along the parade route. It would be nice to see a record number of Jeeps show up. Let the community know we support them. Remember to have your email address added to our email list to get the most up to date information. Just a note to put Sunday August 28th on your calendar. 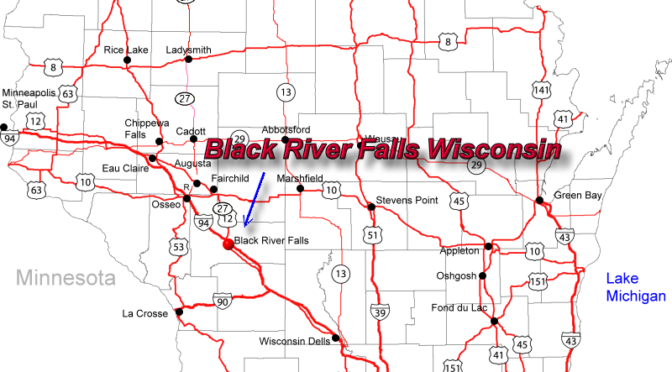 We are planning a ride to Black River Falls to do the state forest trails. More information will be sent as a few details are worked out. Well our first fall ride together is about to happen. We are looking at Saturday September 26th at 11:00 am. Leaving Chrysler Winona we will go up Hwy 61 to a minimum maint road if it is open at to the top of the hill.. Across the ridge and then down to Minnieska where we will be dining at the Eagle View restaurant. A few of us will take the trail ahead of time to ensure it is safe to travel. If you don’t want to take the trail you are welcome to join us at Eagle View at 1:00 pm. Any question you may have please ask. A couple of questions came up that I should address. Can we bring pets to the events? Yes you can!! We encourage the whole family to participate in the events. Please make sure that pets keep you under control at all times. Can we bring friends that don’t drive a Jeep to ride in our vehicle? Yes you can. Please bring enough Keenix when they realize they should have bought a JEEP! Can we suggest places or times to go for our events? Again the answer is yes. We just had a member inform us that a new trail may be opening up in Houston county. This is exciting news! We are working with the DNR to have a cleanup trail ride. This is a foot in the door for a new cooperative venture. Stay tuned. See you all Saturday.